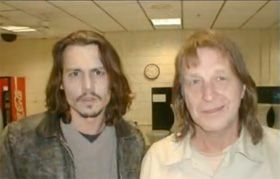 Legendary cocaine trafficker George Jung (played by Johnny Depp in the movie "Blow") has been released from prison to a halfway house after serving almost 20 years behind bars. Jung was a part of the Medellin Cartel which was responsible for up to 85 percent of the cocaine smuggled into the United States. He specialized in the smuggling of cocaine from Colombia on a large scale. Danbury wasn't a prison, it was a crime school. I went in with a Bachelor of marijuana, came out with a Doctorate of cocaine.